It was a bit of a weekend of South Kensington fun (see below), as we headed back there on Sunday to check out the Leonardo da Vinci show on at the Victoria and Albert Museum. The show is a collection of his drawings from his notebooks, grouped into four loose themes. It's not a huge show, but there's a fair amount to get through, and it's all fantastic. You can't help but think, particularly in our vacuous celebrity-obsessed times, that here is a guy who deserves real adoration. 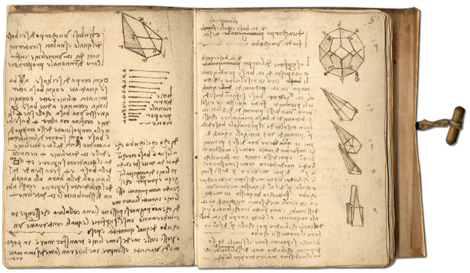 Architect, scientist, painter, thinker, general all-round genius; his sketchbook pages themselves are works of art, despite quite evidently being working drawings. The show runs till 7 January. Go get some inspiration.